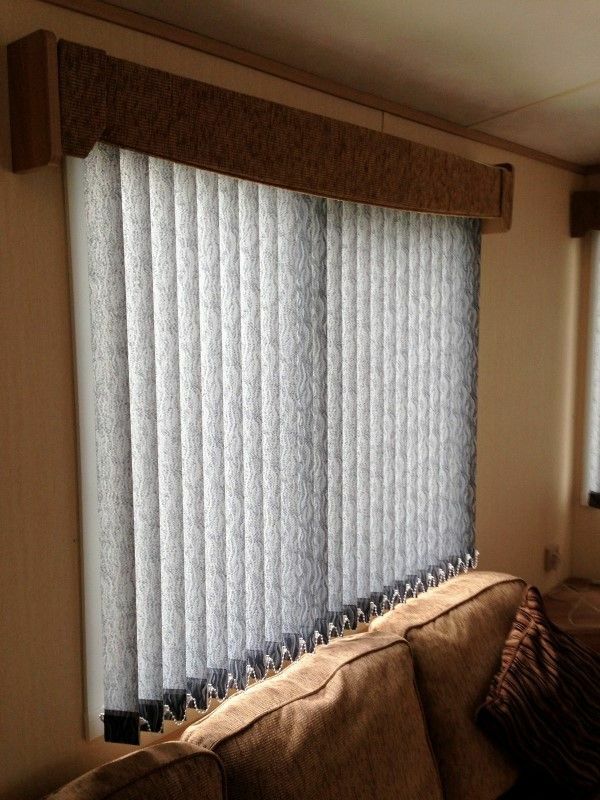 We only use the very best components and fabrics from the leading suppliers in the country. 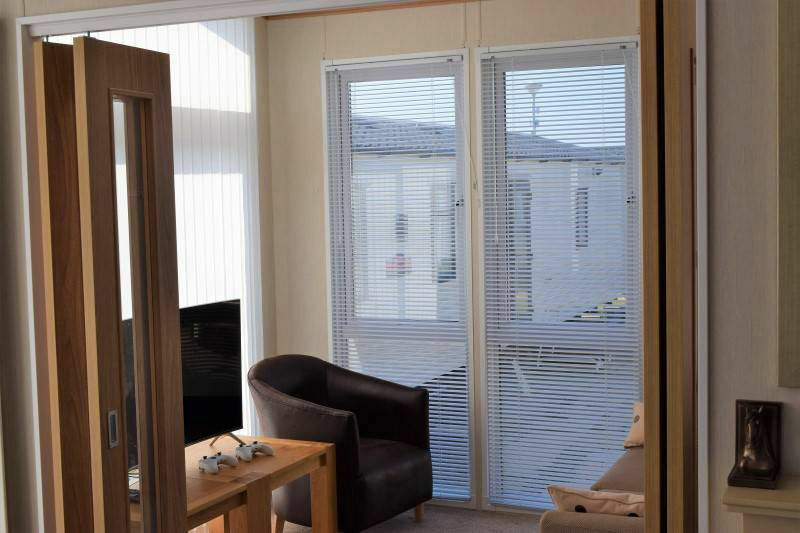 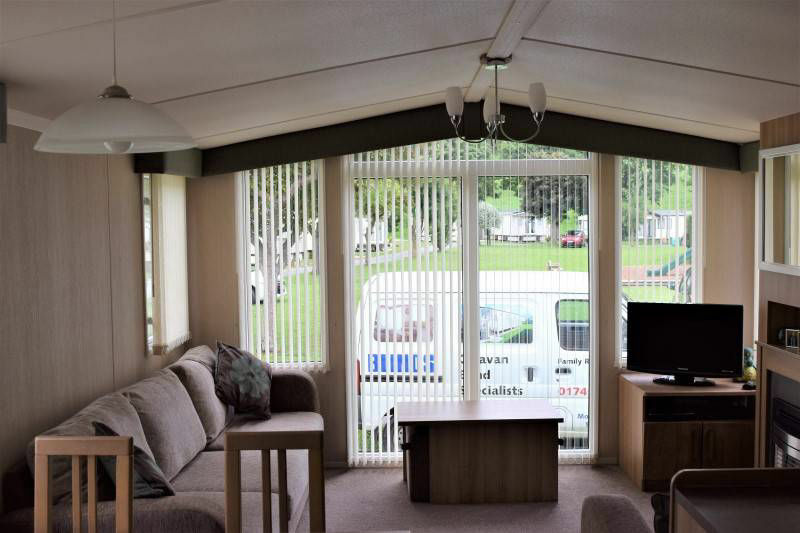 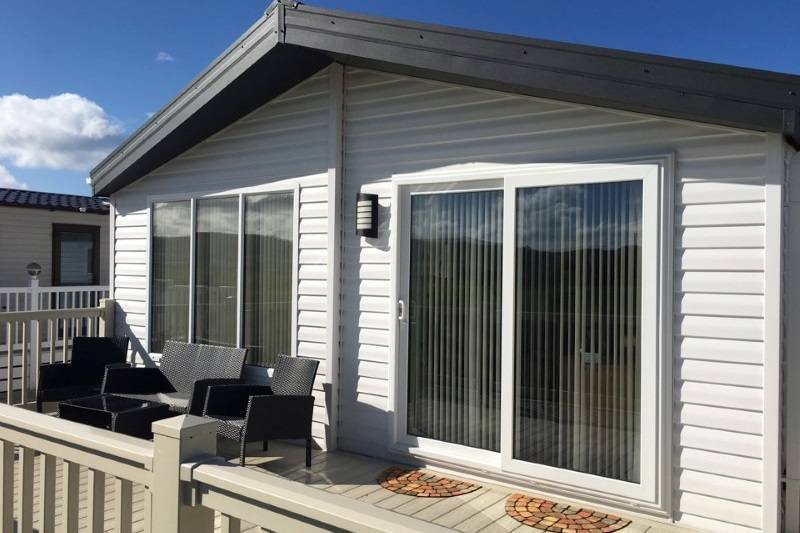 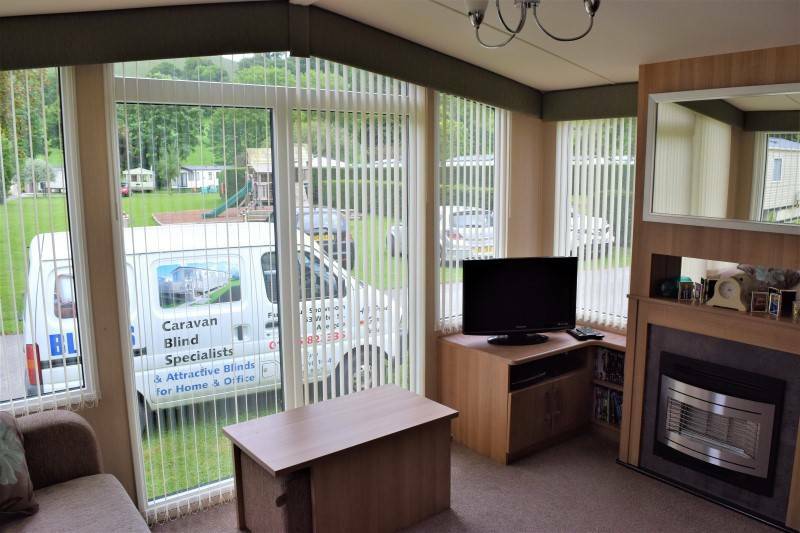 Vertical Binds, Venetian Blinds, Roller Blinds and Pleated Blinds are all options for Caravans, we'll help you make the right choice for your situation. 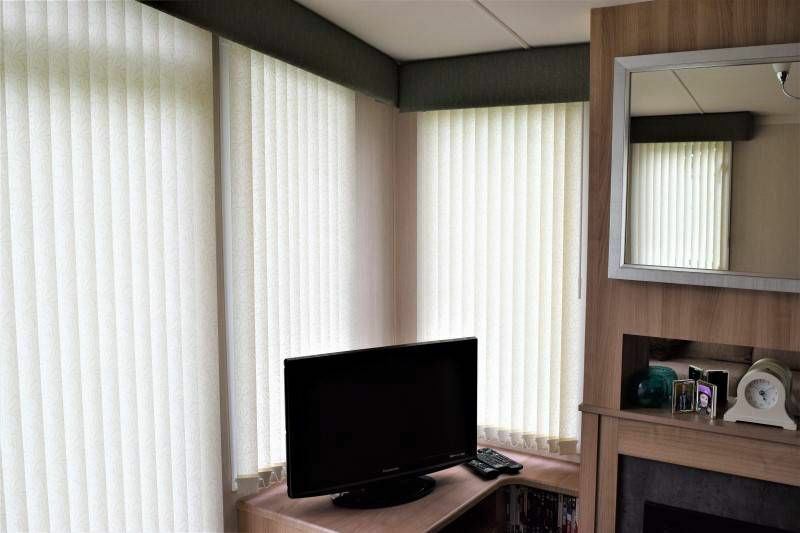 Our blinds are built to last, only using the finest quality materials. 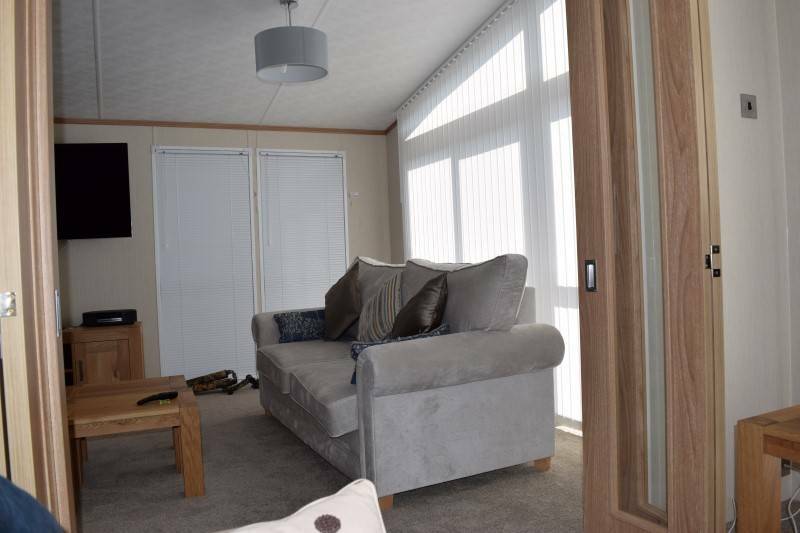 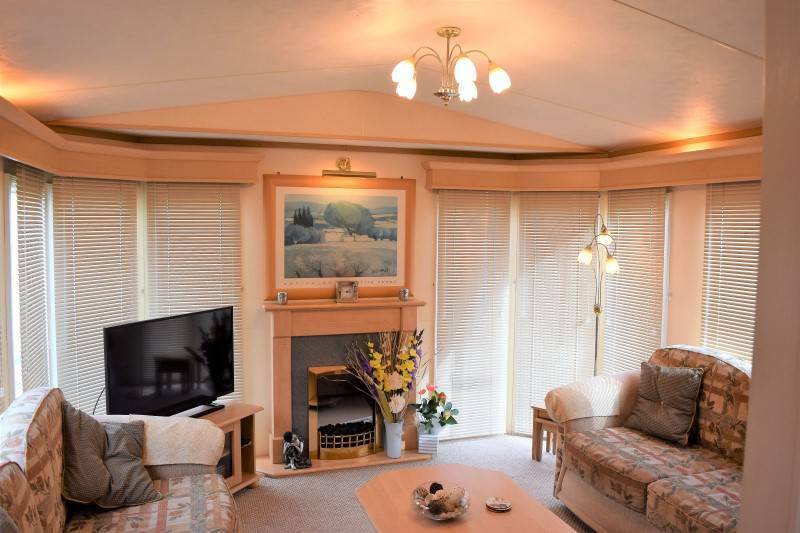 We will help you design, we will measure and get your caravan blinds manufactured to the exact size and fit them as well. 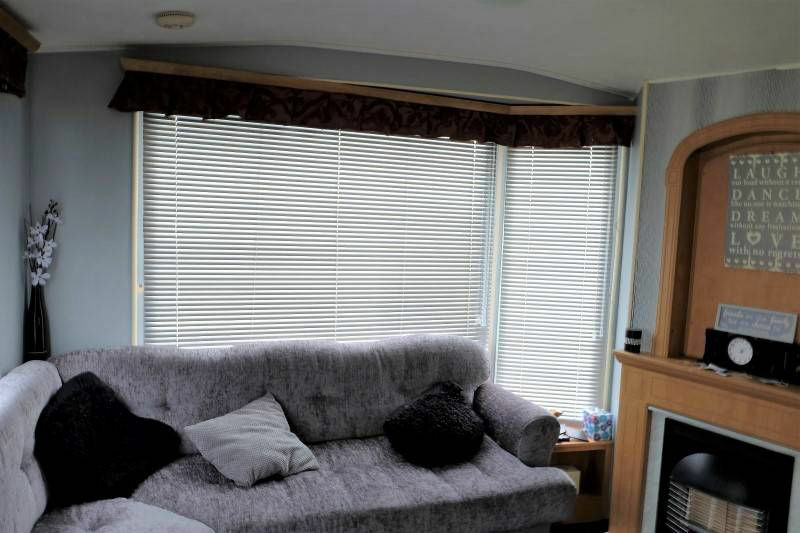 And don't forget we have a showroom with a landline number should you need to get hold of us. .
Vertical Blinds with our 2.5" slats are ideal for narrow reveals quite often found in caravans. 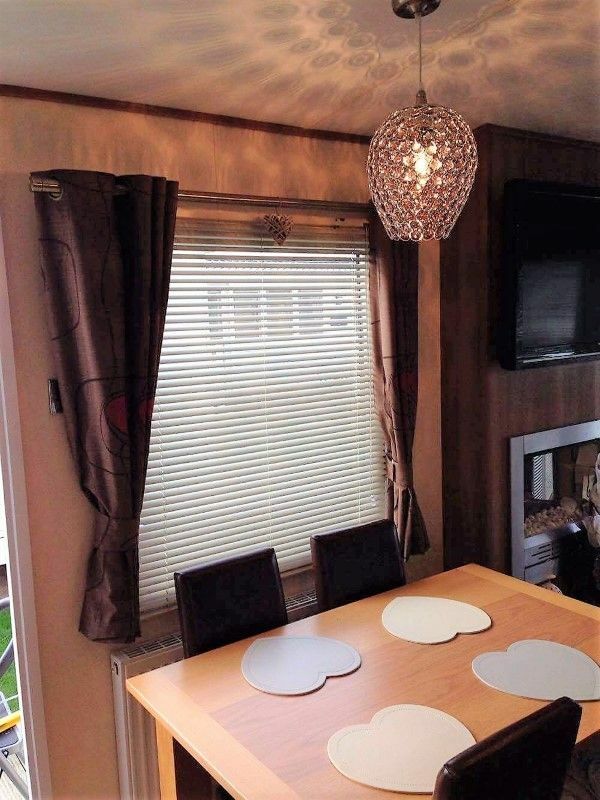 For sloping gable ends we can fit the headrail at the same angle as the window and make each slat slightly smaller than the last to make them perfectly straight at the bottom. 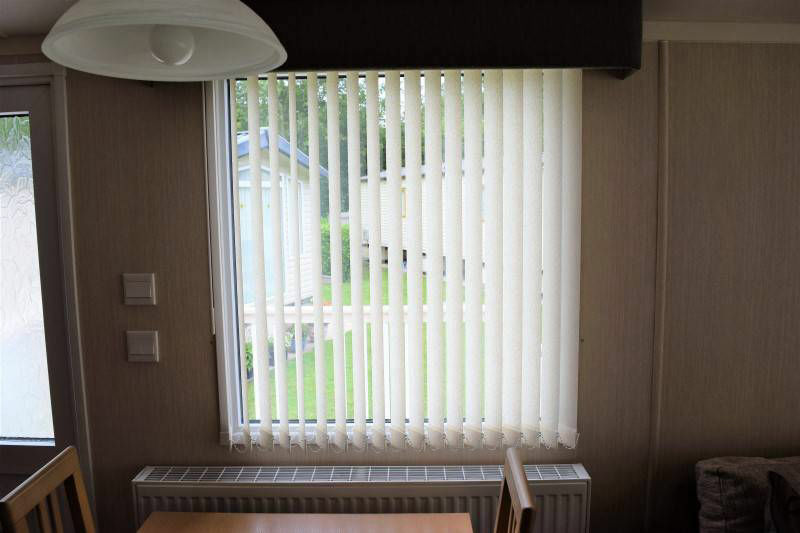 Pleated blinds fit nice and flush to the window therefore suitable for windows with little or no reveal, Can be anchored at the bottom as well as the top for doors and opening windows . 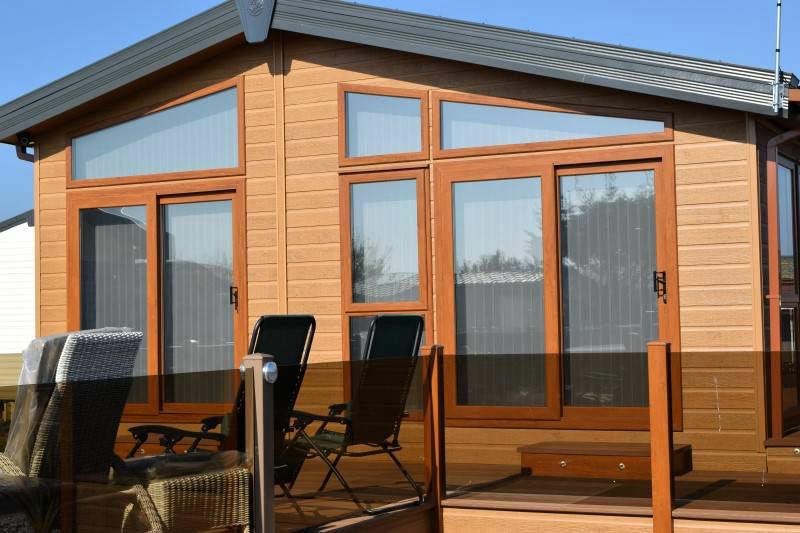 4 slat width options and available in Aluminium and Wood. 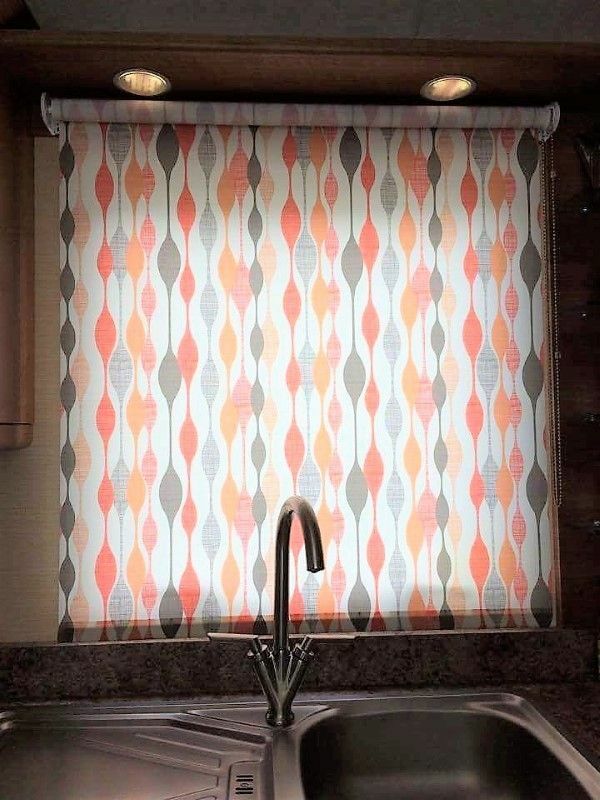 The Perfect-Fit frame option gives as a fantastic look, making the blind look part of the window. 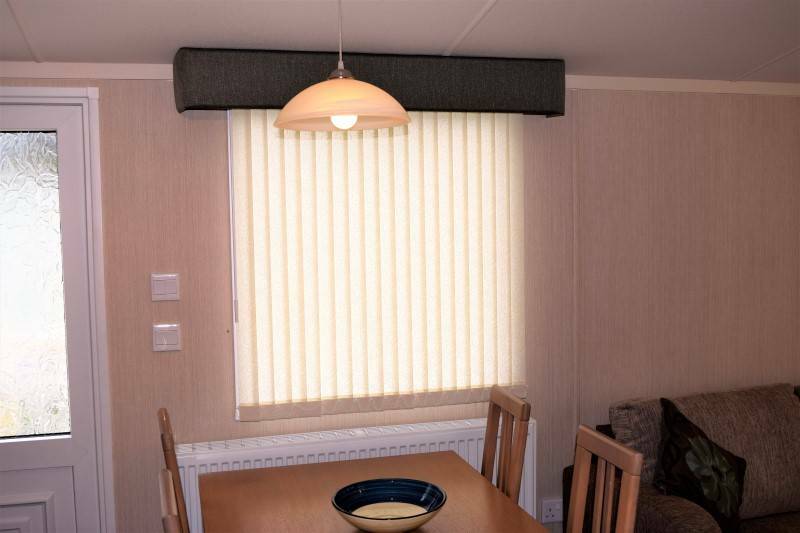 Cassetted roller blinds fit in each window panel and with a blackout fabric give excellent privacy and light control. 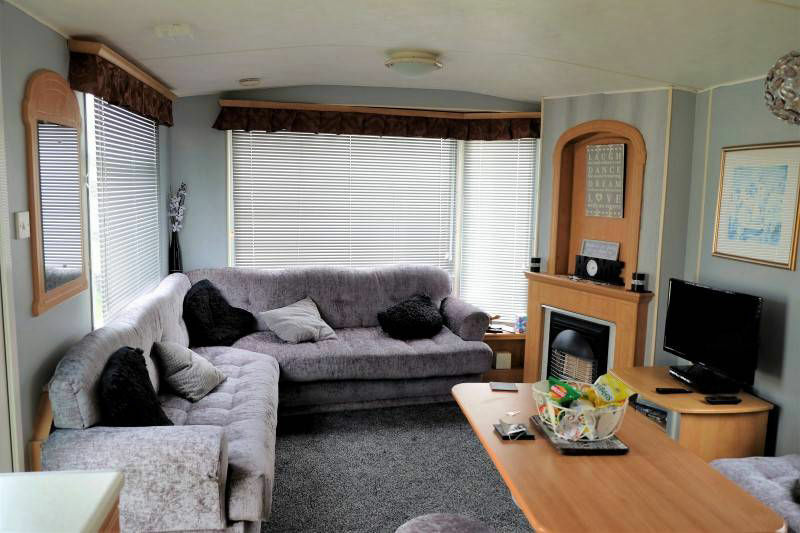 and arrange a great quote for you caravan! 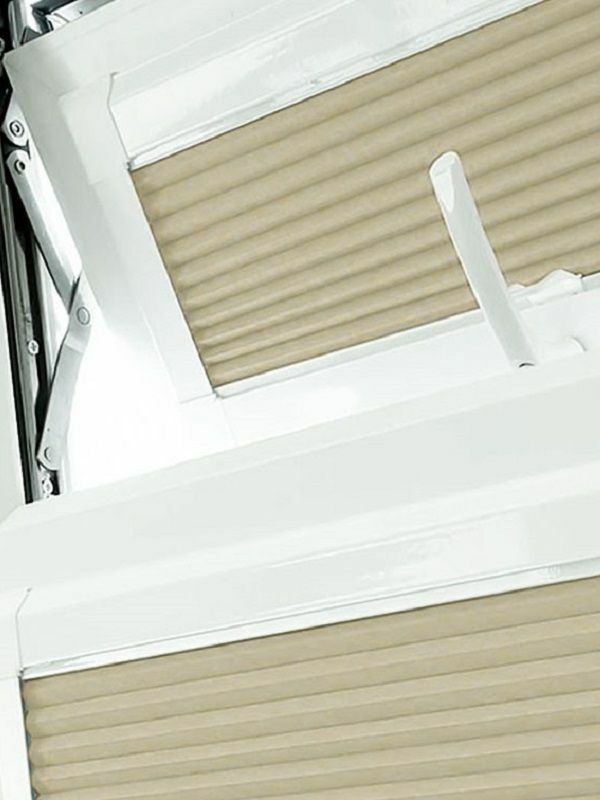 We'll measrure make and fit your blinds. 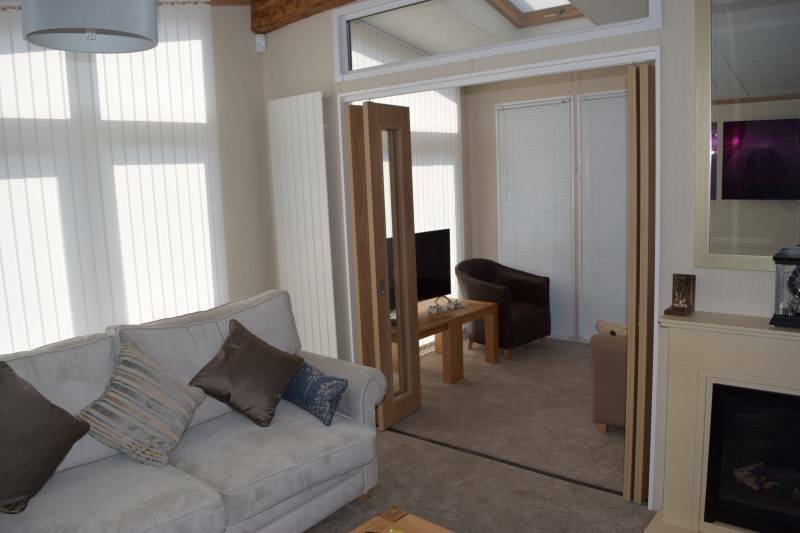 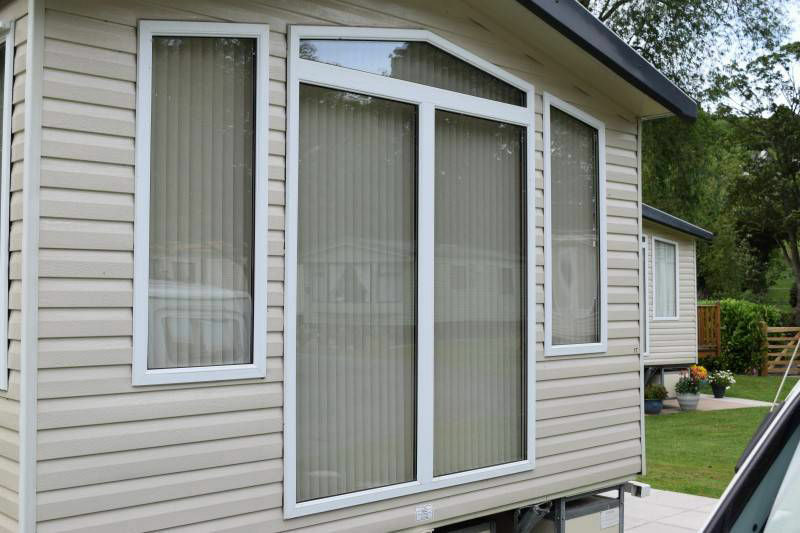 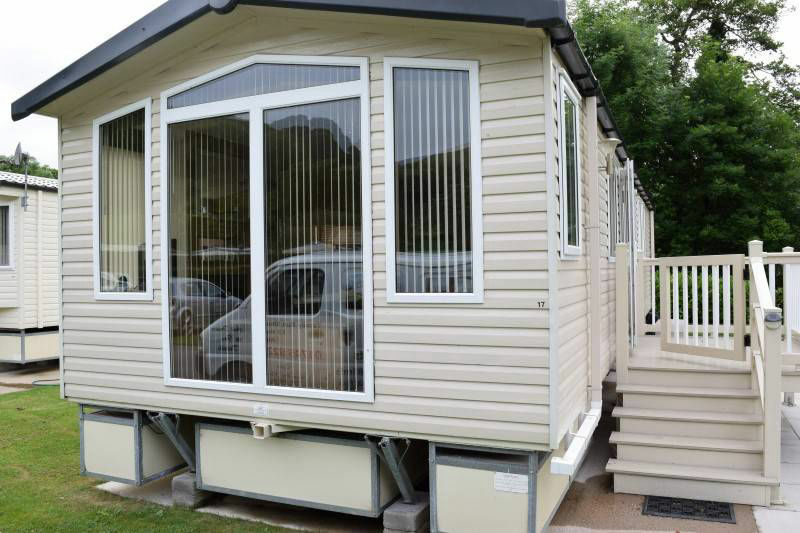 We cover all the caravan sites in Abergele, Rhyl, Prestatyn and surrounding areas.